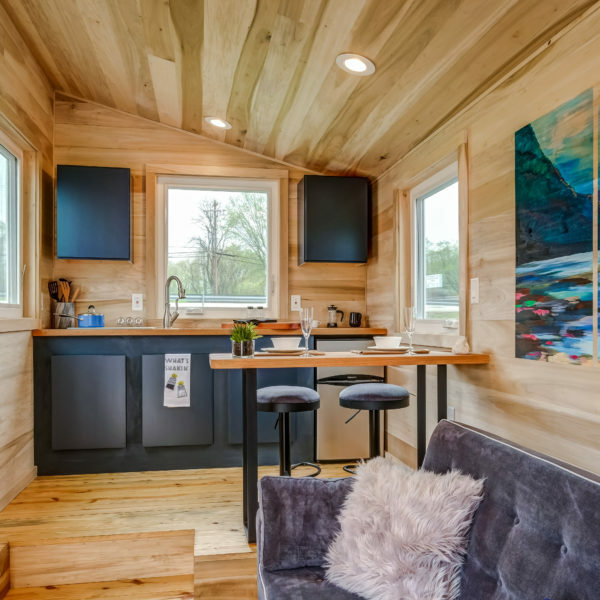 Meet the Degsy, a contemporary, single-level tiny home. 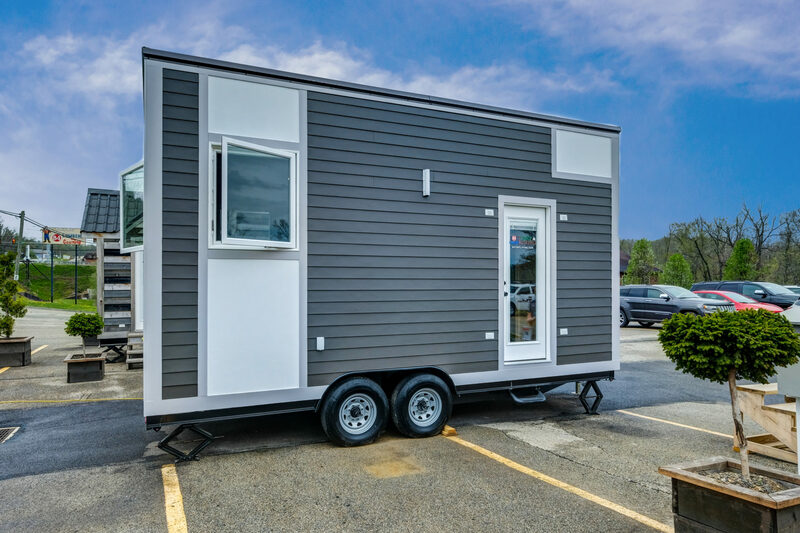 Outfitted with durable, UV-resistant siding, the exterior is a true eye-catcher. 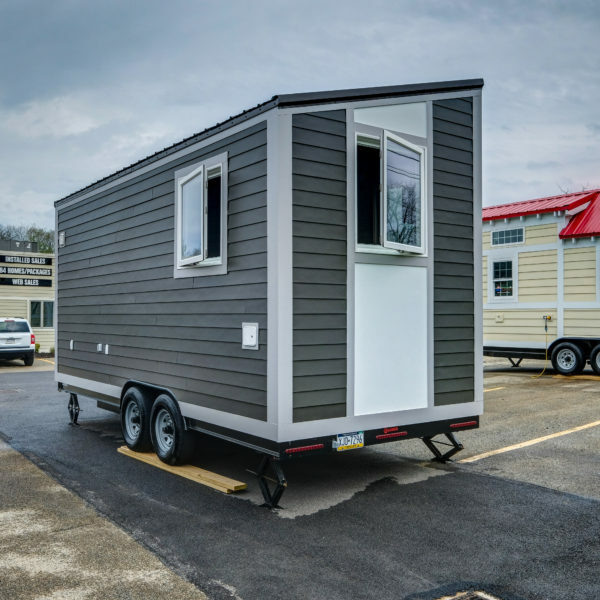 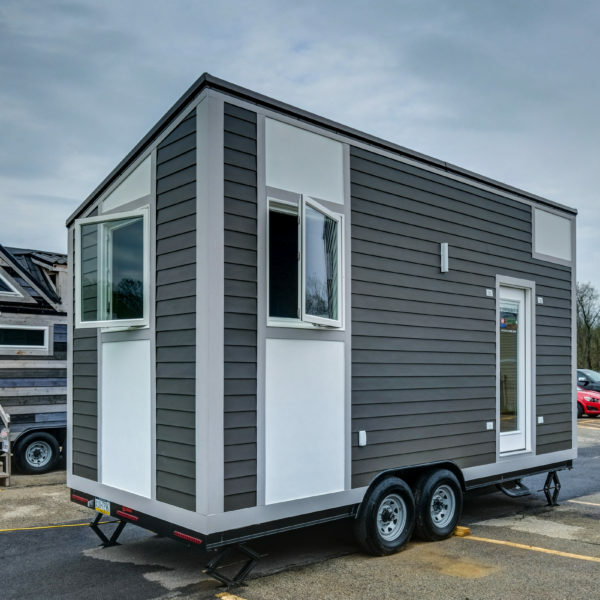 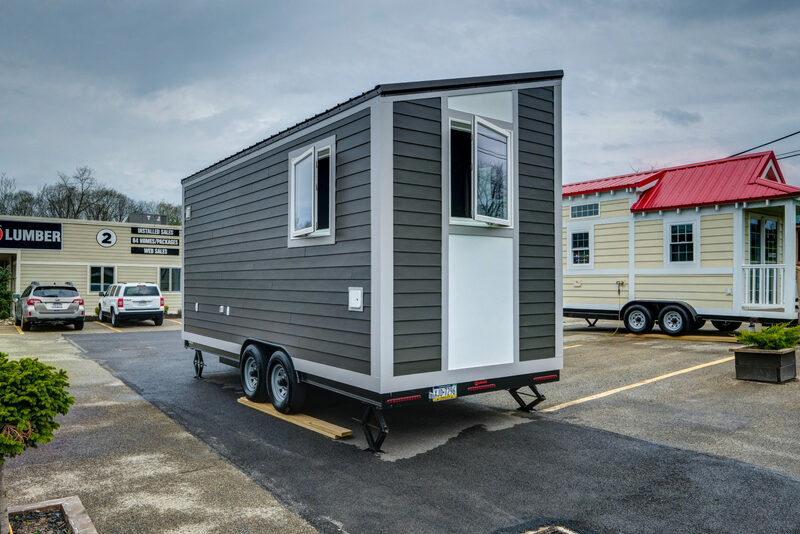 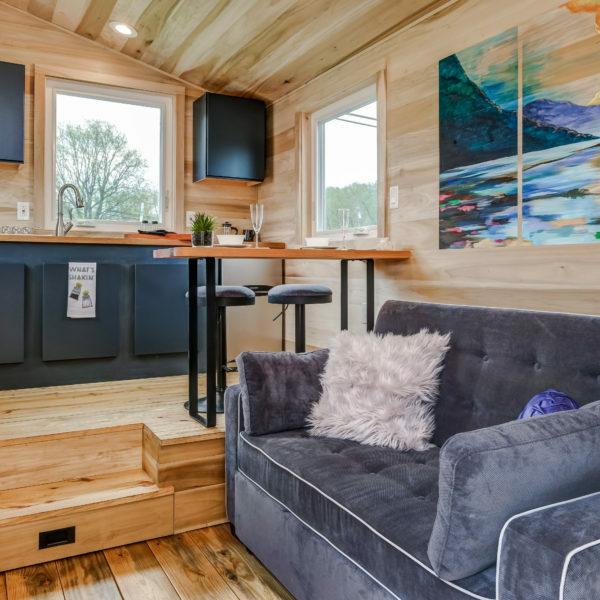 You’ll be ready to hit the road with this custom-built tiny house on a steel trailer with radial tires, safety brakes and stabilizing jacks. 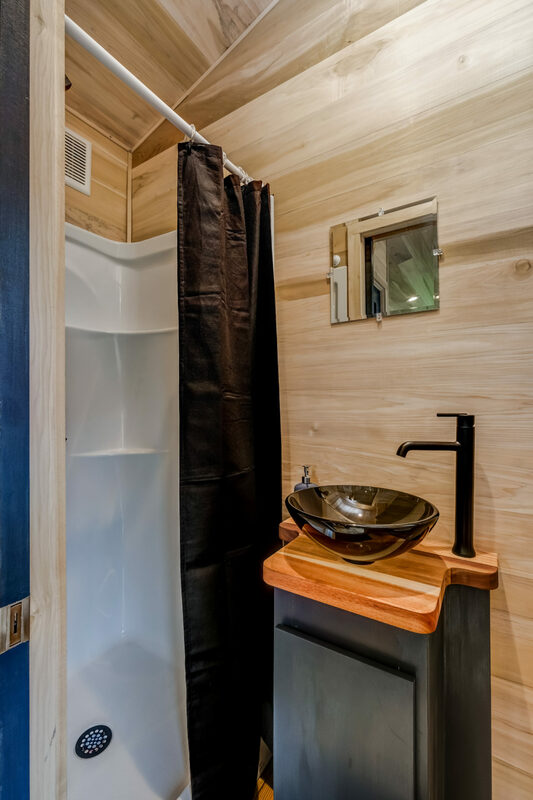 Among the key features of this modern space are the oversized windows that provide natural light, a larger bathroom, additional storage and HVAC. 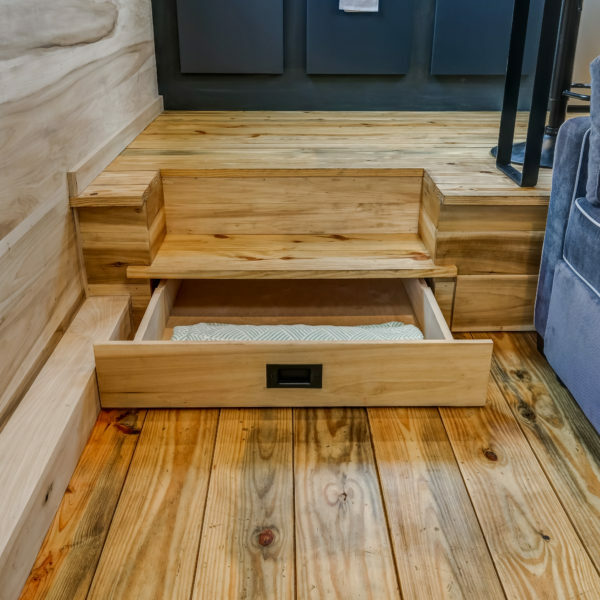 The open floor plan in this one-level home provides you with easy access to your bed when you want it, while keeping it tucked away when you don’t need it, allowing for extra space for other activities. 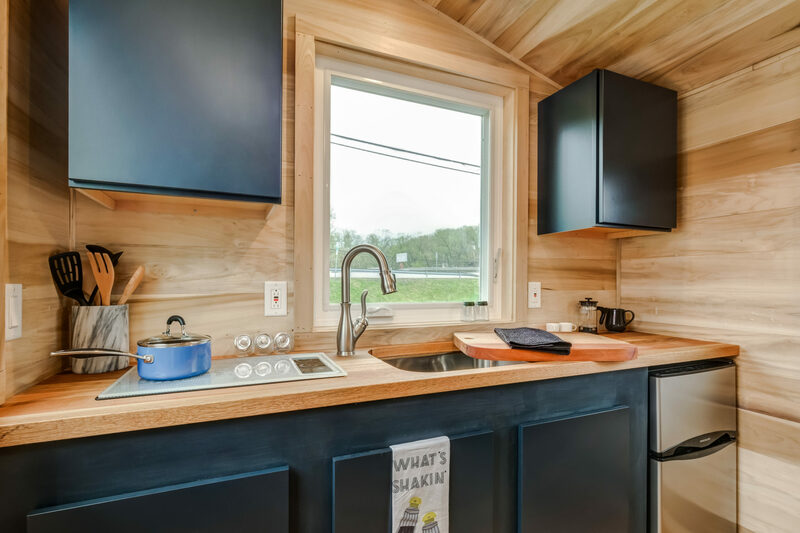 The raised kitchen includes a butcher-block countertop with built-in cutting board, an ENERGY STAR refrigerator, a water-efficient faucet, and an electric cooktop. 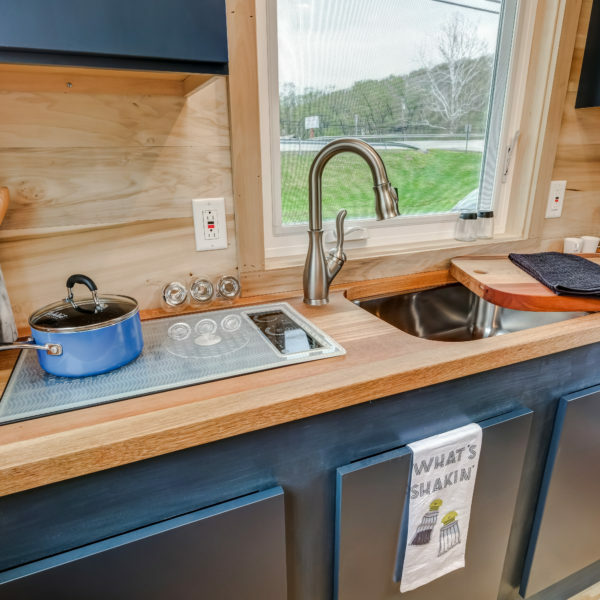 There is an island that provides you with more prep space, as well as space for dining and working. 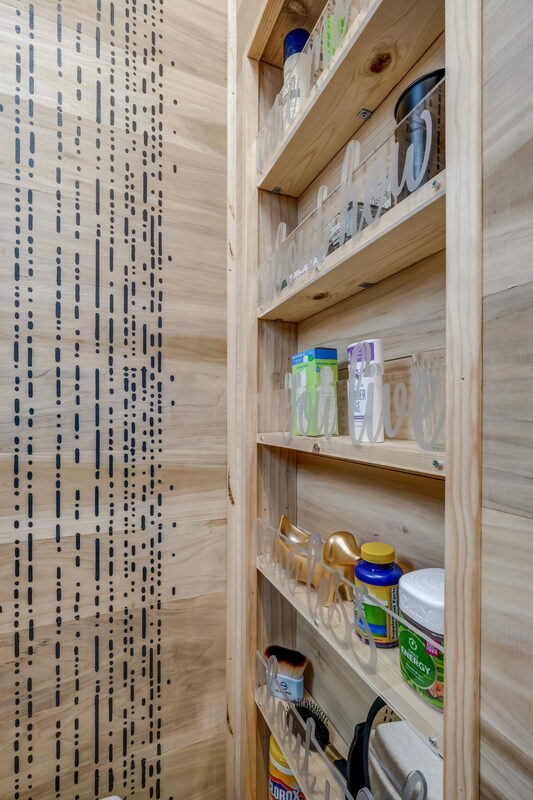 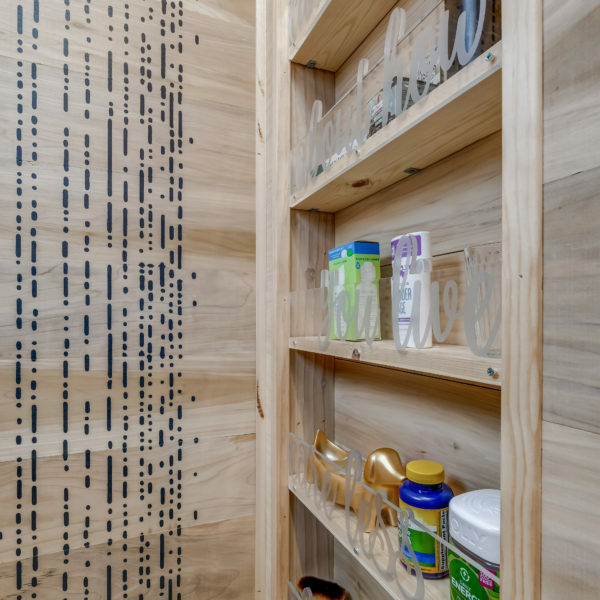 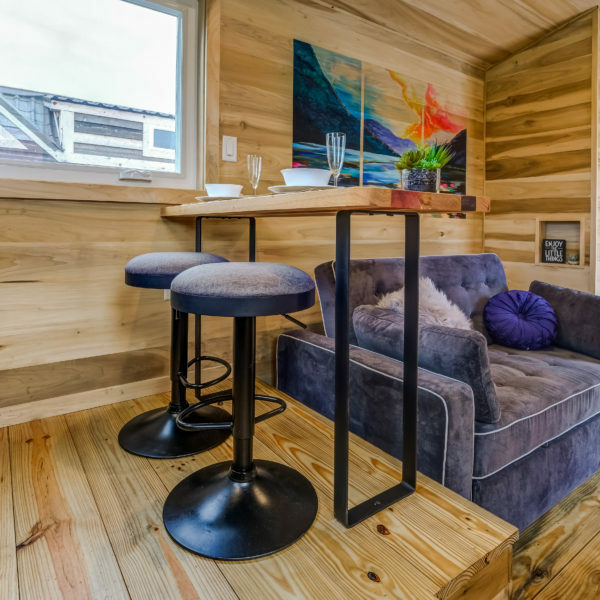 You’ll also be impressed by the high ceilings and beautiful floor located throughout this 160-square foot home. 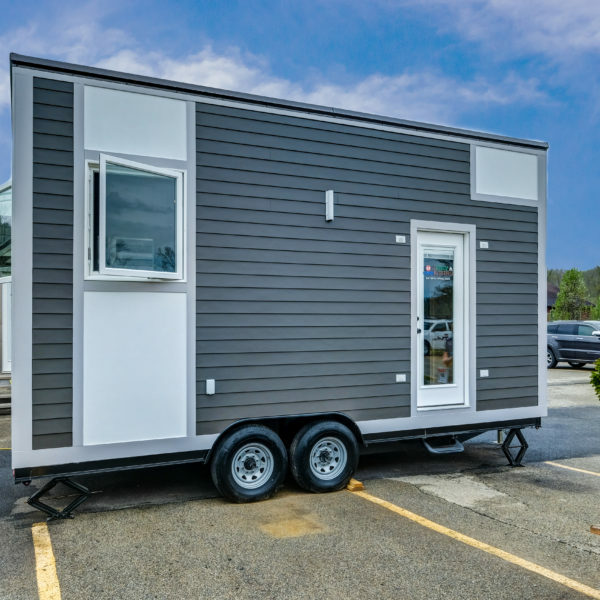 Whether you are buying this home for your family or plan on entertaining for the weekend, this model will surely delight every guest! 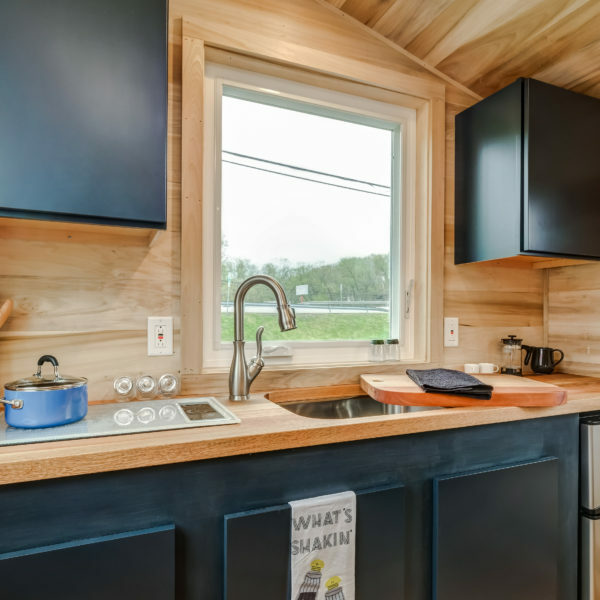 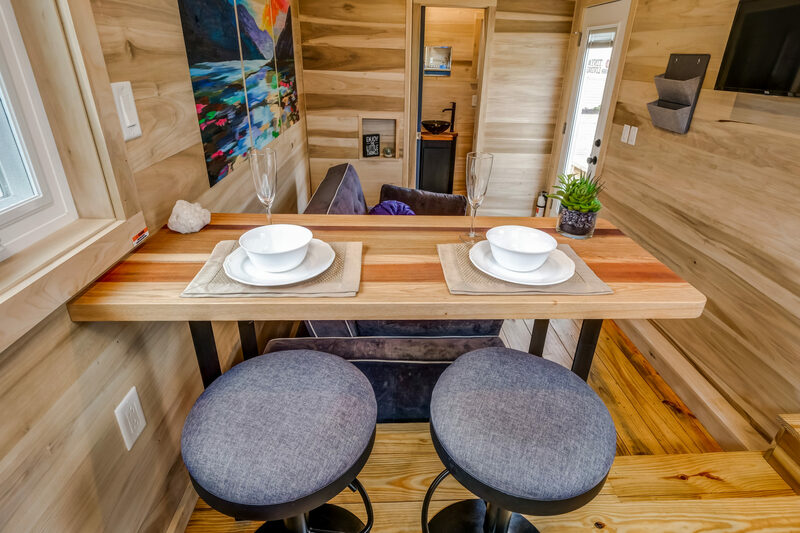 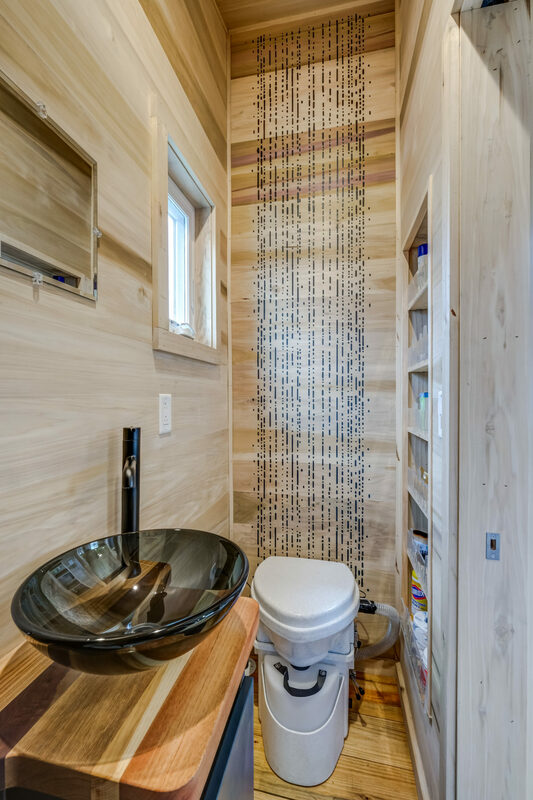 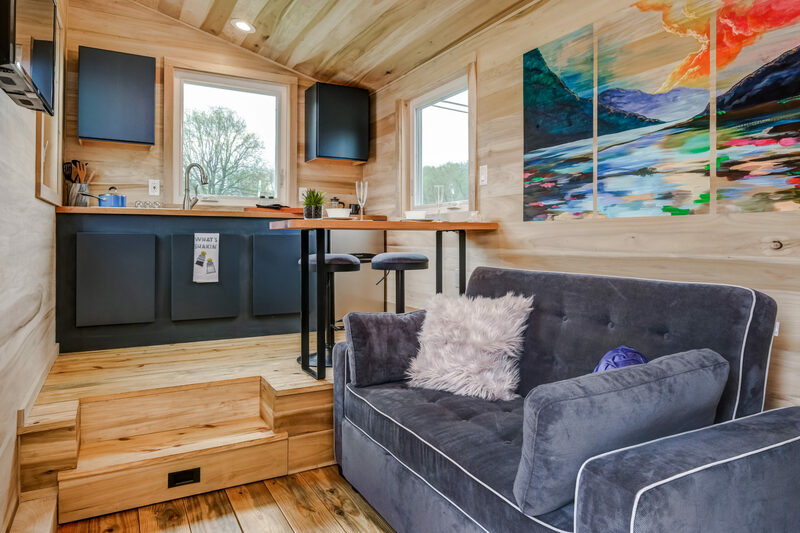 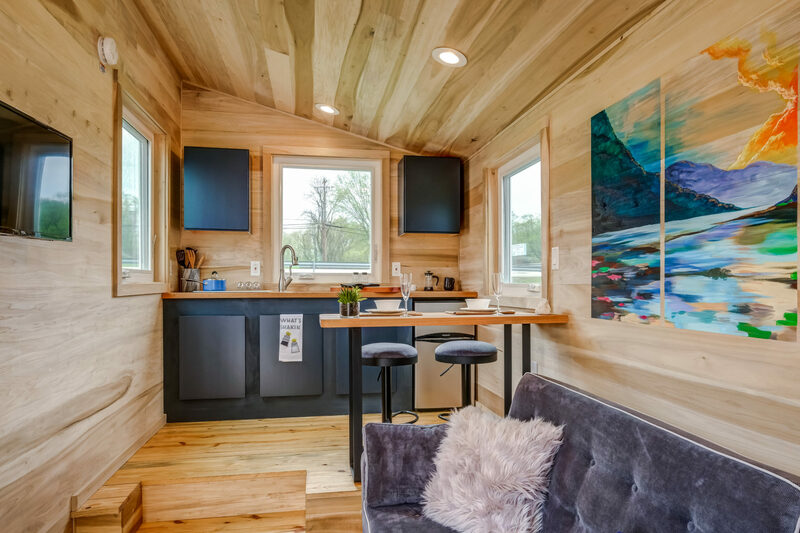 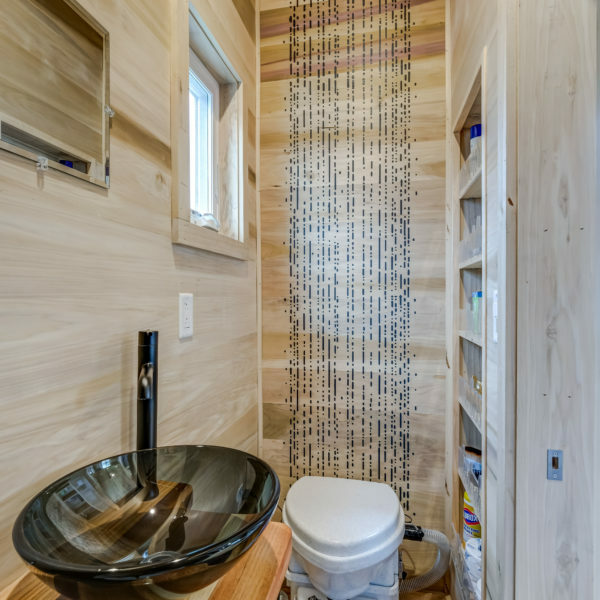 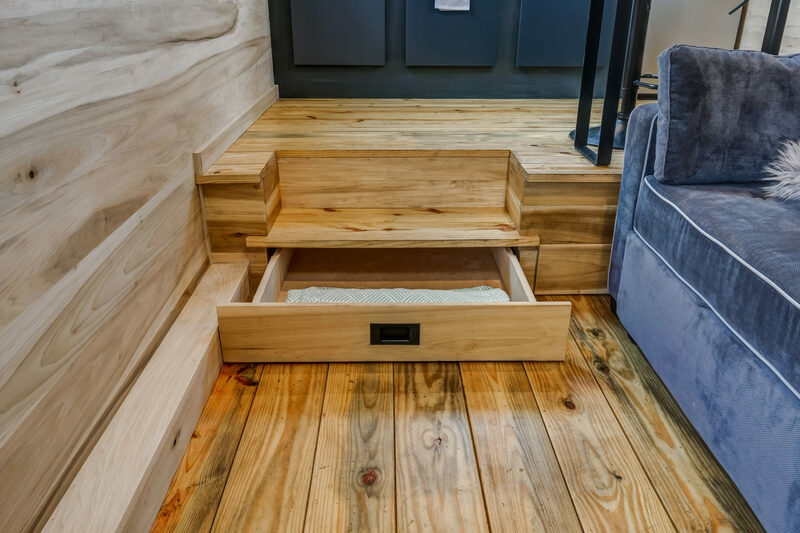 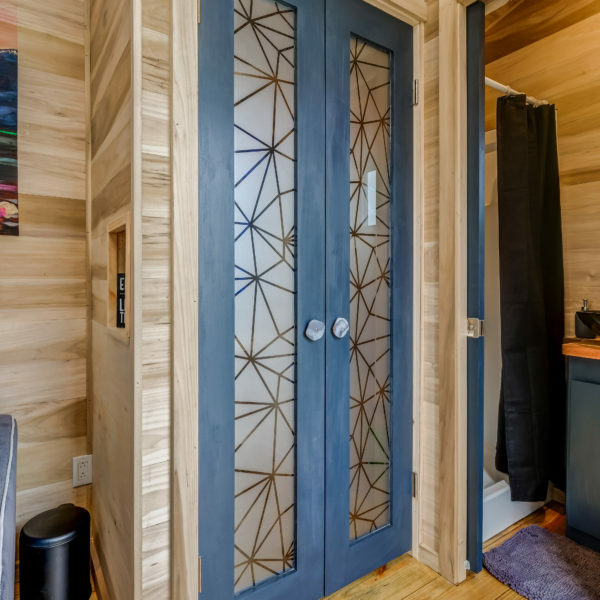 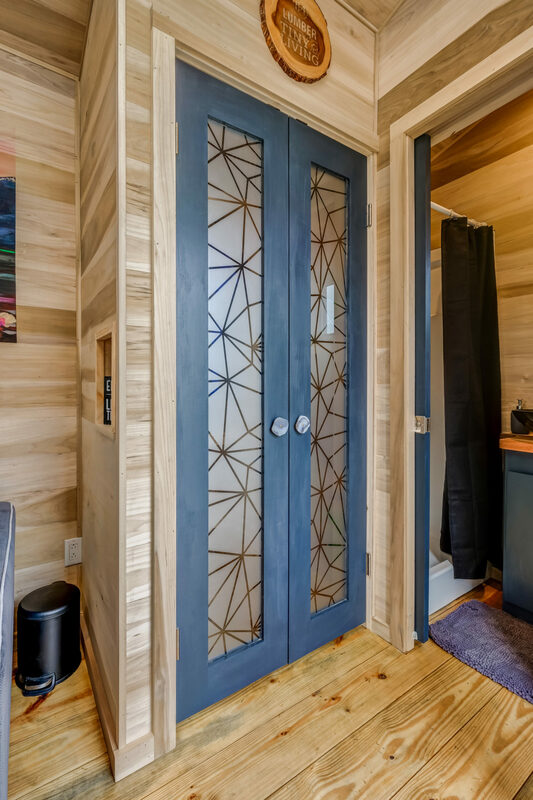 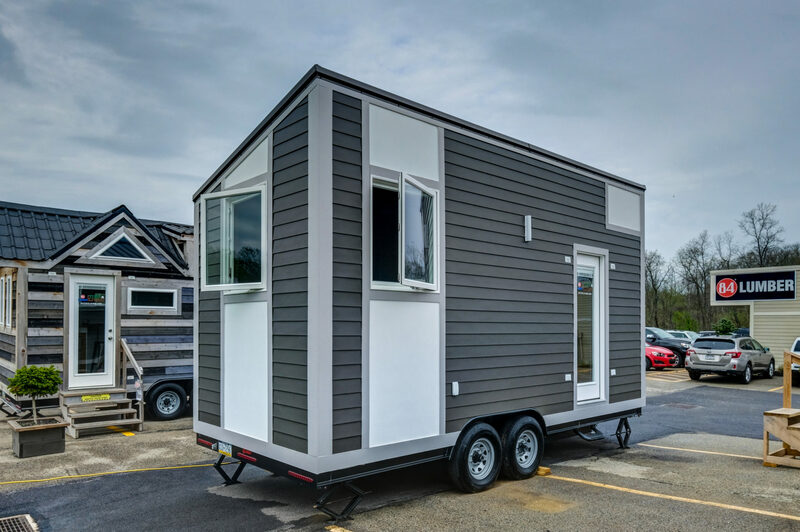 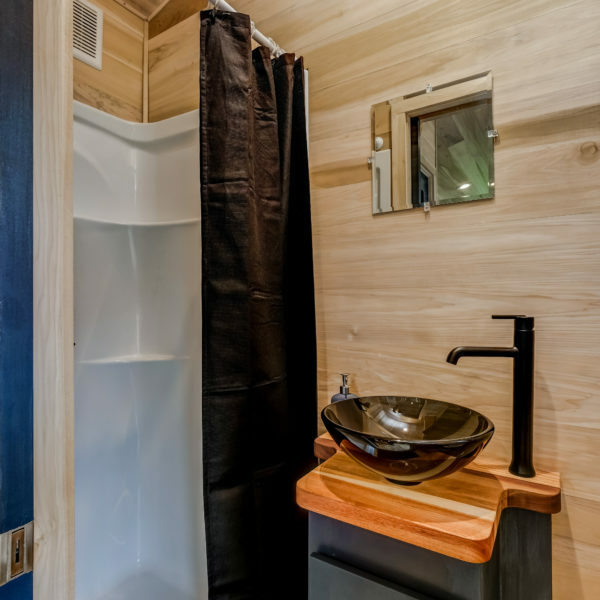 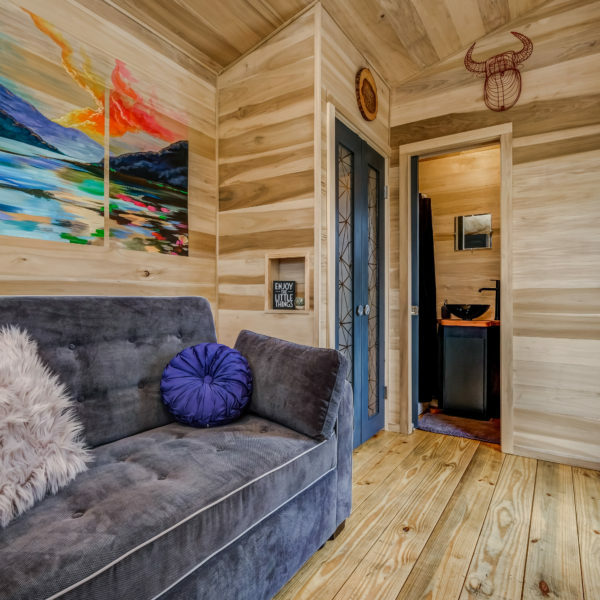 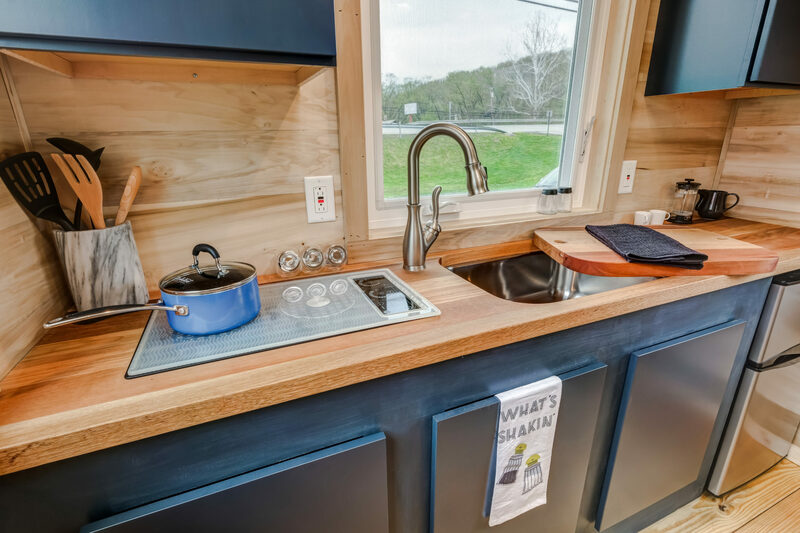 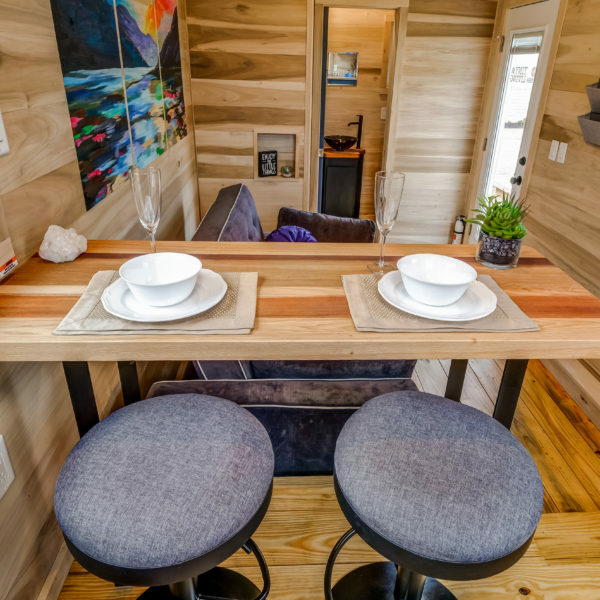 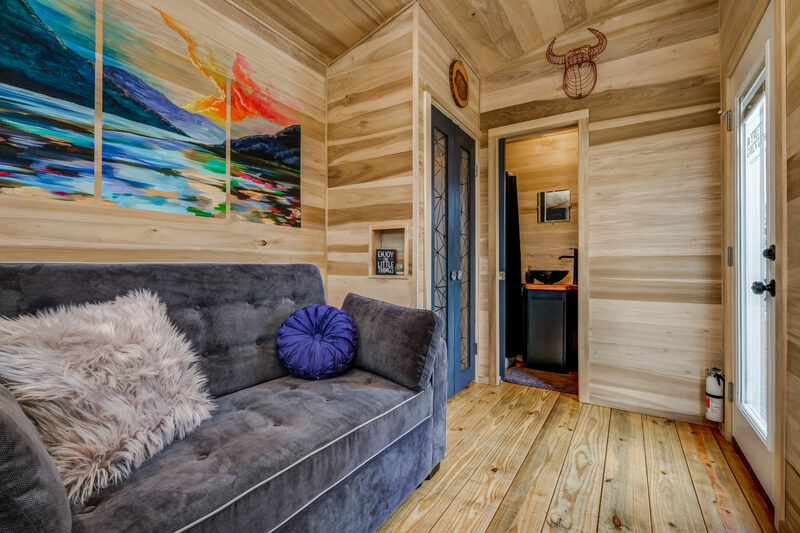 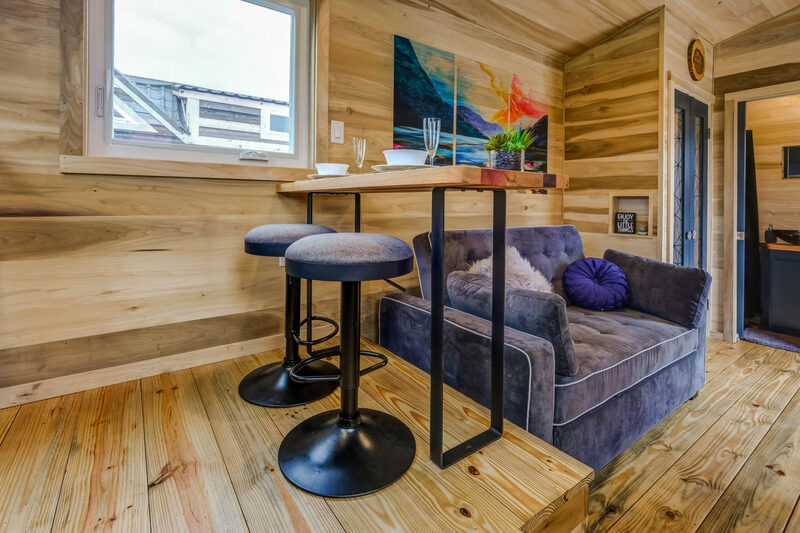 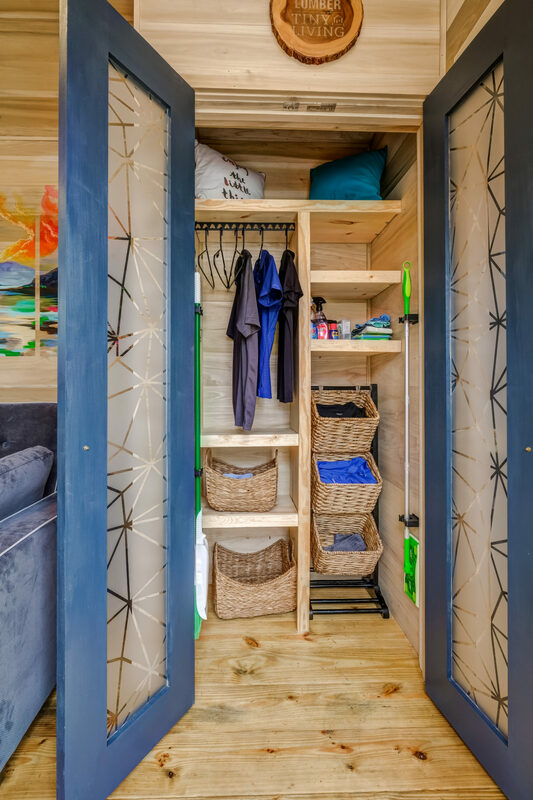 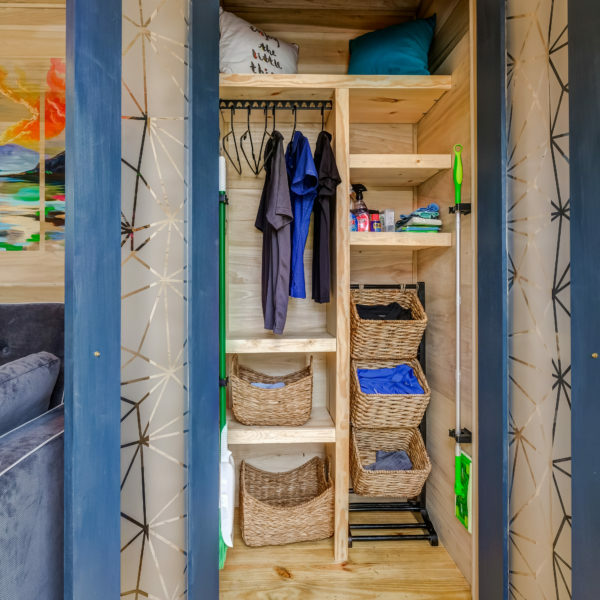 This exclusive tiny home is awaiting your next great adventure!